In eighteenth-century England—where the abuse of animals was routine—the idea of animal protection was dismissed as laughably radical. But as pets became more common, human attitudes toward animals evolved steadily, and with the concentrated efforts of an unconventional duchess, a gentleman scientist, and an eccentric Scots barrister, the lives of beasts—and, correspondingly, men and women—began to change. Kathryn Shevelow, an award-winning eighteenth-century scholar, gives us the dramatic story of the bold reformers (including Richard Martin, William Wilberforce, and Alexander Pope) who braved attacks because they sympathized with the plight of creatures everywhere. More than just a history, this is an eye-opening exploration into how our feelings toward animals reveal our ideas about ourselves, God, mercy, and nature. 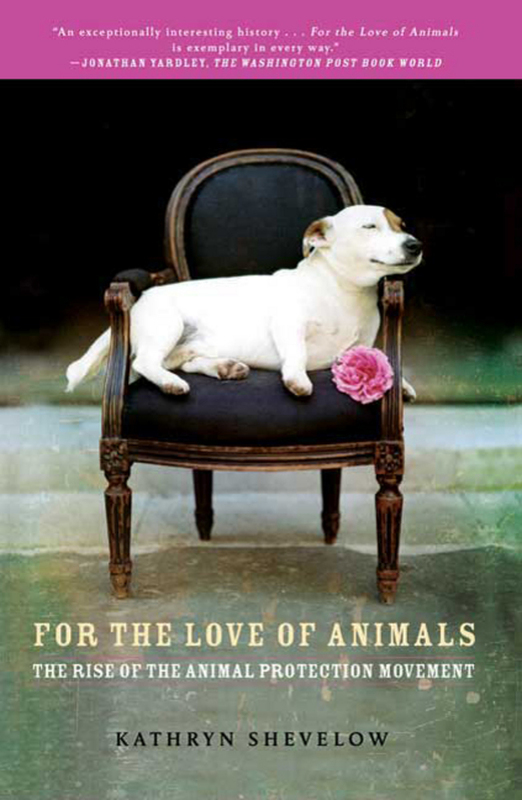 Accessible and lively, For the Love of Animals is a captivating cultural narrative that takes us into the lives of animals—and into the minds of humans—at a transforming moment in history. Kathryn Shevelow visits Google's Mountain View, CA headquarters to discuss "For the Love of Animals: The Rise of the Animal Protection Movement." This event took place on August 25, 2008, as part of the Authors@Google series. A specialist in eighteenth-century British literature and culture, Kathryn Shevelow is a professor at the University of California in San Diego. She is the author of Charlotte: Being a True Account of an Actress's Flamboyant Adventures in Eighteenth-Century London's Wild and Wicked Theatrical World and Women and Print Culture. She lives in Solana Beach, California.